If ever we needed reminders of the fact of the interconnection among all existence, as affirmed by cosmology, quantum physics, and other sciences — as well as mystics and saints — it is now, when dualistic thinking is causing havoc. Whole groups are being vilified and artificially separated from the rest: “winners” from “losers”; “good guys” from whoever the judging group happens to be; humans from Earth, our common home with which we share existence. Lent offers a good opportunity to “re-pent” — re-think — these rifts. Everything has come from elements resulting from generations of exploding stars. Our Solar System and everything in it developed from a shimmering cloud of stardust elements like calcium, carbon, and hydrogen resulting from a supernova explosion. Thus we, too, are made of stardust elements. 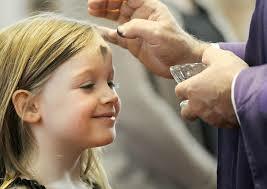 On Ash Wednesday, Christians traditionally receive a cross of ashes on their foreheads to remind them that they are dust. The following ritual is meant to enrich this realization by reminding us that, even before we are dust, we are stardust! 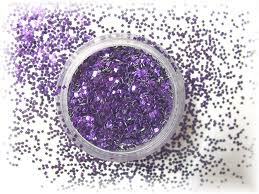 Needed: one candle and a dish of dirt (or glitter, representing stardust). Decide who will read. 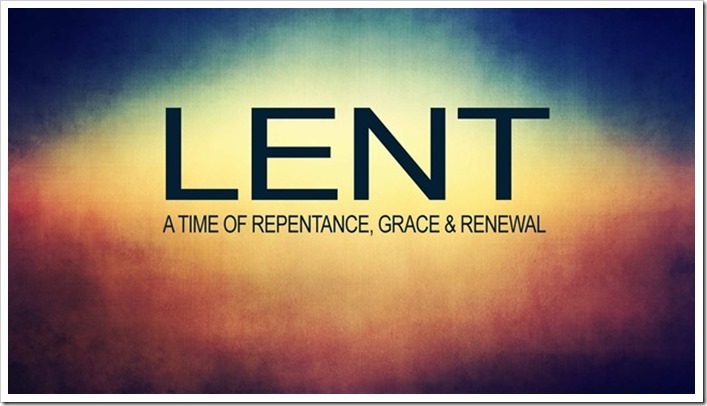 Leader: To begin, let us pause to recall past times when we have received ashes on our foreheads and heard words like these: “Remember that you are dust, and to dust you shall return.” Remember how that influenced your practices during Lent. Carry those thoughts and graces with you now, but place them in a larger context: the context of the entire universe and its amazing 13.8 billion-year history. After billions of years, thanks to the divine Mystery living and acting in our world and in us, stars formed and died in the process of bringing Earth to existence. We became part of this blessed creation. We are connected to all life; we have a role in this sacred story! Reader Three: Dust particles are suspended in the air at all times, unnoticed until sunlight bathes them in radiant streaming light. In this warmth, the specs sparkle. 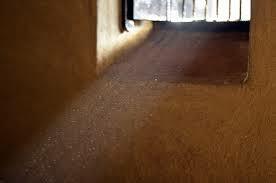 No one who cares about shiny furniture is unaware of what dust can accomplish, just by being. Nothing is insignificant in our universe! • for the Spirit present within the creative process of creation and within each of us, We are grateful. 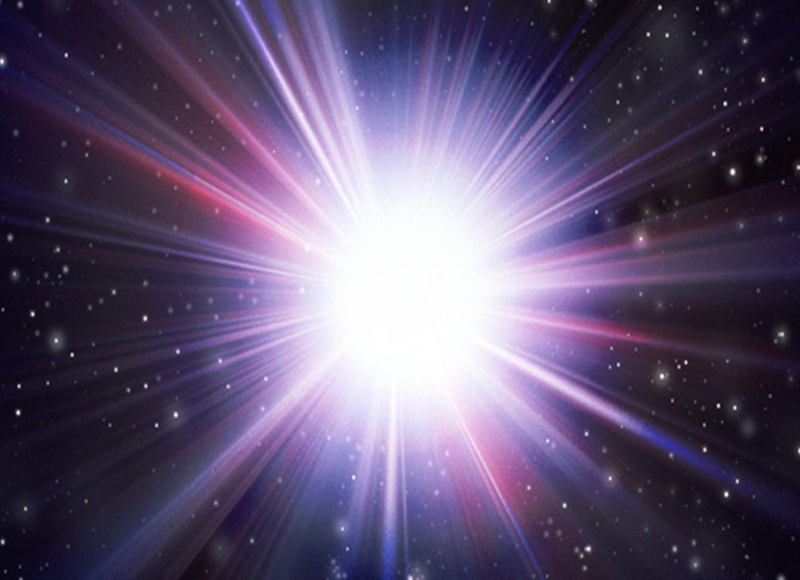 • for the generations of supernovas that exploded, resulting in stars with increasingly more of the heavy elements, eventually leading to the supernova that resulted in our solar system and galaxy, We are grateful. • for Sister Dirt, because of whom we can enjoy food, flowers, plants, clean air, shade, and revelations of the divine, We are grateful. • for farmers who till the soil, especially our local farmers who do it organically using fair trade practices, We are grateful. • for those who lobby to prevent mono-cropping, toxic fertilizers, and the use of GMO’s that endanger the earth, We are grateful. • for the scientists, theologians, thinkers, writers, speakers and artists who have helped us realize our place in creation — [Pause to quietly remember one or two who have helped you. Name them if you wish], We are grateful. • for those present and throughout the world committed to creating a flourishing Earth, including Pope Francis, and for his encyclical Laudato Si’, We are grateful. Jesus, too, was stardust! Jesus, too, died to give new life, as each seed must do. How might we connect the creation story with our Lent experiences this year? 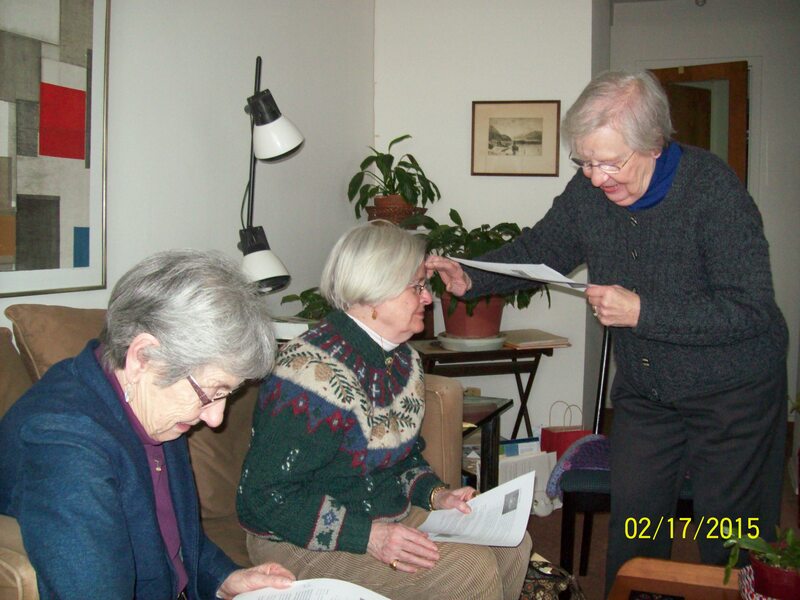 How might our Lent resolutions reflect our call to care for E/earth? May this soil (or glitter), which dates back billions of years and which took over 4 billion years to form on Earth, keep us humble — humus is the Latin for soil. May it remind us of who we are and how vitally we interconnect with the rest of creation. May we trust in divine power working in us for the good of all creation. Amen. Depending on the number of participants, either divide into pairs, each member blessing the other with soil from the center bowl, or form a circle and pass the bowl of soil, each blessing the person on his or her right. remember when, where, and from whom they first learned that fact — or truly realized it. For many of us, the news was revolutionary. Talk about a paradigm shift! As far as I can discover, few suspected this fact prior to 1929, when Harvard astronomer Harlow Shapley remarked that “humans are made of the same stuff as the stars.” Three decades later, scientists showed that the atoms of which we are made are not only the same as those in stars; the atoms that comprise our “stuff” were actually created inside stars! No wonder gazing at stars can have such a profound effect on us! No wonder we sometimes really feel that we are one with all creation! Also awesome is the realization that we become star stuff by way of Earth. When Christians are asked on Ash Wednesday to remember that they are dust, they can remember the Genesis story of how God took Earth’s clay/ humus to form the first humans. They can also remember that human evolution dates back not just to the very beginnings of our Earth, but all the way back to stars! 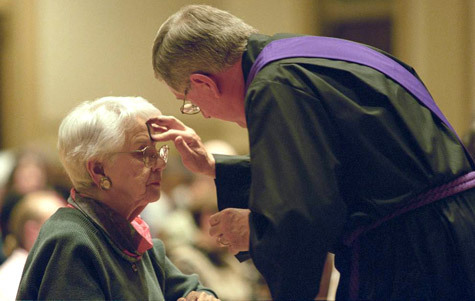 Traditionally, on Ash Wednesday Christians flock to Church to begin Lent by receiving a sign of the cross on their foreheads. 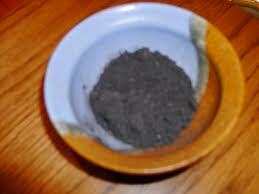 Originally called “Day of Ashes,” this custom had begun by the 8th century. Many Scripture references, primarily in the Hebrew Scripture, tell of repentant people putting on “ashes and sackcloth.” Ashes were originally sprinkled on the head rather than marked on the forehead. The ashes are a reminder of our sinfulness and mortality; the sign of the cross reminds us of Jesus’ forgiveness of sinners. The ashes come from the burned palms used the year before on Palm Sunday. People are usually happy to get a good black smear to prove that they appreciate the symbolism of this sacramental — even if we didn’t exactly come from ashes. The following ritual is not intended as competition for the usual Ash Wednesday practice. 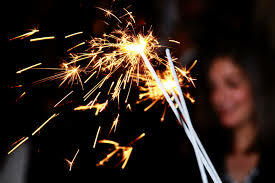 It is suggested as supplemental to the traditional ashes ceremony, or as an alternative for anyone who would not otherwise participate in anything. A two-sided copy of just the ritual is available from terrishcj@aol.com. Organizer(s) and/or those participating: Adapt the following ritual in any way that will make it more useful. (Send suggestions to terrishcj@aol.com.) Decide how much to use, music, and readings. 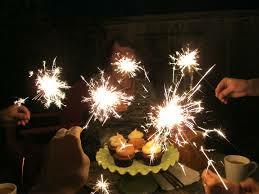 You might want to be creative with sparklers or glitter. If wanted, plan refreshments. Begin together: May the Divine Power living and acting within us deepen our wonder and appreciation of the fact that we are made of stardust! we who are born of a star who then are we? we who are loved by a star who then love we? • from Radical Amazement, Judy Cannato: The massive star that was mother to our Sun met with fiery death, her form completely annihilated be the explosive force of the blast. And yet she exists in each of us, in the cells of our bodies that are composed of her dust. Consciously or not, we carry her within us as surely as we carry the DNA of our biological parents [and ancestors]. • from The Cosmic Dance, Joyce Rupp: Our planet Earth was once a dancing star, evolving over four and a half billion years ago from the many elements of a colliding supernova. I have loved knowing that we are “made of stardust” as Brian Swimme and other poetic cosmologists tell us. I like knowing that the composition of my body has the elements of a star that was once brilliantly aglow in the universe and is now dancing in me. There’s a magical sense of connection that comes from this knowledge . . . .
• from Once Upon a Universe, Pat Bergen, CSJ/Ministry of the Arts: When our Milky Way was 5 billion years old, a [later] generation star was coming to the end of her life. This grand old star collapsed in on herself and then exploded in a blast as fierce and brilliant as a million stars. It was our grandmother supernova! Her death gave birth to hundreds of new, more complex elements — carbon, iron, calcium, oxygen, magnesium . 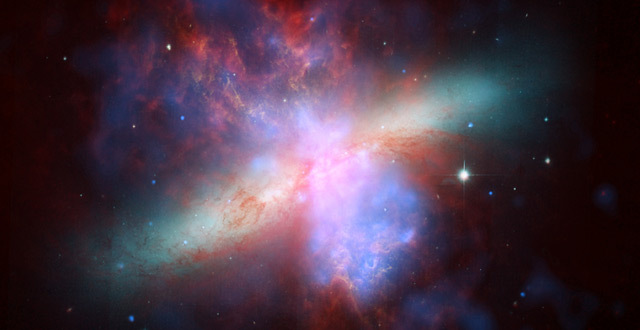 . . “stardust” flung far out into space. Gravity again went to work and drew the dust back into a hot, dense center. And voila! Our glorious Sun star ignited! The rest of the stardust gathered into 8 fiery planets of molten rock and gases, dancing with their moons in orbits around the Sun. Thus were born [what became] our home planet Earth, our moon, our great generous Sun, . . . our whole solar system. Sharing: What connection(s) do you find between this story and the stories of Jesus that we ponder during Lent and Easter? – for the Spirit present within the creative process of creation and within each of us, We are grateful.